When you begin a new career, a major concern is making your salary last until the next one comes along. A lot of people have a hard time managing their finances because they do not have a proper way of managing and saving their money. Some are not aware that they are already spending more of their pay than they should. Overspending can lead to other problems like inability to pay the bills, for example. Not a good way to be financially stable, right? So how do you avoid those kinds of problems? That’s where banks come into the picture. Some people may doubt their money’s safety, but keeping money in the bank is a lot safer than just hiding it in your house. It is less likely to get stolen or lost and more importantly, banks help you manage your finances wisely with the use of their banking accounts. Banking fees, unfortunately, can pose a big problem for consumers. It’s just not ideal for some. There are fees which can be avoided temporarily but not permanently. Wouldn’t it be nice if there was a solution to avoiding banking fees completely, like a totally free checking account? Do You Really Need A Checking Account? A bank account lets you have the freedom to budget your money according to your spending habits. Bank statements allow you to keep track of your transactions and see how you use your money. You might be scared of putting your money in a bank, but it’s a lot safer than keeping it in your own home where there’s a higher chance of losing it or get stolen. Also, without a bank account and card, carrying your cash everywhere is probably not a good idea. A checking account may be the best bet for fresh graduates or first-time employees. It is a basic financial management tool that helps young adults to keep their money in order to pay the bills, groceries, and other things. Even without cash in hand, you could still use your checking account as a form of payment. Why give yourself the trouble when you can just carry a debit card instead? Checking is the type of bank account that is perfect for those who value convenience when it comes to their money. A checking account comes with a debit card which is probably the most convenient and easiest way to pay. Most businesses and services now accept it as payment for their goods. It automatically debits the payment straight from your account and deducts it from your available balance. Debit cards are more suitable for day-to-day expenses. A checking account also creates a safe place for your pay be directly deposited. Nowadays, most banks offer this option to their consumers. It is especially useful when managing your finances since the direct deposit feature allows you to receive your pay earlier than usual. You won’t even have to wait for your employer to give you your paycheck and then line up at the bank to deposit it. It is safe and secure. Keeping your money in your checking account at a bank guarantees better safekeeping and accountability.. It is very convenient. A checking account offers checks or a debit card as forms of payment. Both methods are widely accepted by stores and merchants. You also get a record for each transaction so it makes things easier to manage. It is very accessible. Banks are now using the internet and smartphones for banking purposes. Almost every bank has their own mobile applications and websites where you can easily access your account through your smartphone or your computer. While these are great advantages of having a checking account, there are also disadvantages. Maybe the most common reason why people steer clear of a checking account is the banking fees that come with it. The fees that are included are overdraft fees, monthly maintenance fees, minimum opening deposit, ATM fees, foreign transaction fees, and card replacement fees. Another important consideration before opening a bank account is which among the many banks are you willing to put your money in. It is essential to pick a bank where you feel safe and what they offer is aligned with your interests. Not all banks are the same so it would be great if you compare each bank and list their pros and cons. Let’s look at some of the major traditional banks which offer checking accounts for their consumers. Namely Chase, Bank of America, Wells Fargo, Citibank, PNC, and BBVA Compass. Chase Bank is a subsidiary of JPMorgan & Chase Co. and currently the largest bank in the U.S. in terms of total assets with $2.53 trillion. The second largest bank in the U.S. with $2.28 trillion total assets is Bank of America with its headquarters found in Charlotte, North Carolina. Wells Fargo is the third largest bank in the U.S. in terms of total assets with $1.95 trillion and its headquarters is found in San Francisco, California. Citibank is a subsidiary and the consumer division of the multinational company, Citigroup, and is currently the fourth largest bank with $1.84 trillion total assets. PNC is the 9th largest bank in the U.S. with $380.77 billion total assets and its headquarters is found in Pittsburgh. BBVA Compass is a subsidiary of the Spanish multinational company, Banco Bilbao Vizcaya Argentaria, and it is headquartered in Birmingham, Alabama. These banks all have their own checking accounts that they offer to the public. They also have mostly the same features and the only difference among them are the fees included. Some banks may offer lower fees and some may have higher ones. Either way, the bottom line is that every major bank imposes charges for their checking accounts. They have the same banking fees and they only differ on the amount. The question is, how do these fees affect you and your money? What In The World Are These Checking Fees? Banking fees sound like a nightmare for people who want a healthy financial life. Who would want to lose money on unnecessary fees? Most of the time, consumers don’t even realize they are paying them until they see their bank records. But what exactly are these banking fees? Let’s go over the common checking account fees one by one. Overdraft fees are one of the problematic fees which consumers encounter in checking accounts. These fees are charged when you withdraw money greater than the available amount in your account. BBVA Compass charges the highest overdraft fee with $38. Next is PNC which charges a $36 overdraft fee per item. Bank of America and Wells Fargo both charge $35 overdraft fee per item, while Chase and Citibank have a $34 overdraft fee per item. Monthly maintenance fees are charged when your balance falls under the required monthly balance at the end of the statement cycle. Chase, Citibank, and Bank of America checking accounts have a monthly maintenance fee of $12, while Wells Fargo has a $10 monthly fee. PNC only has a $7 monthly service charge and BBVA Compass does not charge. However, monthly maintenance fees can be avoided. Some banks require a minimum balance at the end of a statement cycle or a certain amount of direct deposits. Minimum opening deposit fees are what you pay when you first open an account. Chase Total Checking Account, Bank of America Core Checking Account, Wells Fargo Everyday Checking Account, PNC Standard Checking Account, and BBVA Compass ClearChoice Free Checking Account all require a $25 minimum opening deposit fee. Only Citibank Simple Checking Account does not require any deposit for opening an account. ATM fees are imposed when you withdraw money from a different bank other than yours. Chase, Citibank, Wells Fargo, and Bank of America all have a $2.50 out-of-network ATM fee, while both PNC and BBVA Compass have a $3 out-of-network fee. Foreign transaction fees occur when money is withdrawn from ATMs outside the country. Citibank has the lowest foreign transaction fee with $2.50 plus 3% of the amount per withdrawal. Next is BBVA Compass with a $3 plus 1% of the amount per withdrawal. Chase, Bank of America, Wells Fargo, and PNC all charge $5 plus 3% of the transaction amount per withdrawal. In case your debit card is lost or has been stolen, banks require you to pay a fee for it to be replaced. Those who have debit cards from Chase, Citibank, and Wells Fargo get to replace their lost or stolen cards for free. On the other hand, BBVA Compass charges its consumers with $5 card replacement fee while PNC charges the highest with $7.50. To summarize, these major banks we mentioned all have banking fees. They don’t offer a completely free checking account. They may waive some of the fees but it’s not entirely free. Sadly, consumers might not escape them and may be forced to pay them just to have their money in a safe place. Remember that some banking fees are hidden and you may not have any knowledge of them being deducted from your account until you review your bank statement. With the steady rise of technology, another method of banking has risen: mobile banking. One example of a mobile banking account is the Chime Account. Chime is an online banking account which lets you have your own checking account with only the use of your smartphone or laptop. Best of all, it is completely free. It doesn’t even require you to deposit a minimum fee when you open it. Its checking account is the same as what most national banks offer without the intimidating fees. The only thing you will be charged is for withdrawals from out-of-network ATMs which is really not a problem since you could just withdraw money from any ATMs that support Visa. In short, there are no hidden charges when it comes to Chime. It’s a truly free checking account. Also, since Chime is an online banking account, it doesn’t have any brick-and-mortar locations meaning it has no physical bank. It is just you and your phone or computer. The totally free checking account offered from Chime is the real deal. It doesn’t have the same fees that most major banks impose, letting you have more freedom with your money. There are no more fees that will burden you and you get to be more wise in your spending habits with the help of its mobile banking app. Unlike traditional banks, Chime’s service is strictly online which means it’s very accessible and easier especially for young professionals. A recent survey concluded that 4 out 10 Americans use mobile banking and 26% of banking consumers use their mobile phones for this kind of purpose. In the same survey, it also showed that almost half of young Americans gravitate towards the use of mobile banking and even people over 65 years old have chosen online banking as their preferred method. The rise of technology has really made a great impact on how we live and that includes our banking preferences. Which is why Chime is perfect for Americans who rely on mobile banking. With only a few clicks, you could already manage your finances no matter when and where you are. Because of its strictly online platform, Chime lets you take care of your banking from anywhere and at any time. You can monitor your account 24/7. Also, Chime Account offers an early direct deposit feature in which you can receive your salary money two days earlier than the actual pay date. You don’t have to worry about waiting for your paycheck to come in the mail. It also saves you time and effort from enduring long lines at the bank. Chime is a great alternative for consumers who are not very keen on spending more money on ridiculous banking fees. With Chime, you can enjoy the same benefits as checking accounts from major banks without drowning yourself in checking account fees. Apply for a Chime Spending Account. You can do this by simply going to their website and be ready to fill out your personal information. Download the Chime mobile app. It’s available for download in the App Store and Play Store for free. Just download the app and register your account. Now you can view your account details and view your transactions. Deposit money to your account. The easiest way to put money is through enrolling in direct deposit. When your pay comes, it will automatically be put into your account. There is also the option for mobile check deposits and electronic transfers from other institutions. Now you can use your account to pay bills or send money to your family or friends. It’s that simple and easy. Free Checking Account For Real? In a GoBankingRates survey early this year, it was stated that young millennials from ages 18-24 are more influenced by bank account fees, which led them to open multiple accounts in different banks where there are lower fees. But why would you open multiple accounts when you can just own one completely free checking account? Having more than one account sounds very stressful and might lead you to even more financial problems. Chime offers you a way out of them with its Spending Account. While some checking account fees of banks can be waived under some conditions, they do not offer completely free checking accounts. Traditional banks use these fees to earn profit to pay overhead and operational costs like rent, utilities, employee salaries, and more. Opening a checking account with one of the major banks might not be a good idea for young professionals especially with hidden charges that could endanger their hard-earned money. Why burden yourself more with unnecessary fees when you could completely prevent that from happening by applying for a free checking account? 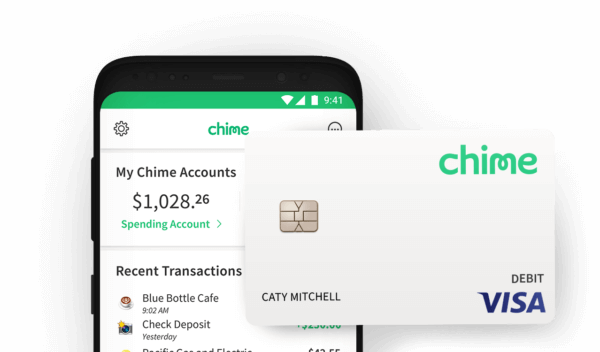 Yes, a free checking accounts exist and one of them is the Chime Spending Account. No hidden fees equal no worries! With Chime, you don’t have to shell out money just to open an account. More importantly, you will be able to manage your finances wisely and not lose sleep on how much money is going to be deducted from your account after every month. Free checking is real and Chime has it. So don’t think about how banking fees would prevent you from having a good life and a healthy pocket. Instead, apply for your own free checking account as soon as possible.